Is a New York based makeup, hair, and special effects artist. He fell in love with the transformative properties of makeup while earning his BA in Theatre at UW Madison. Jake began his career designing character makeups for theatrical productions, and quickly progressed to executing stunning beauty, fashion, and avant-garde makeups as well as subtle men's & kid's grooming. 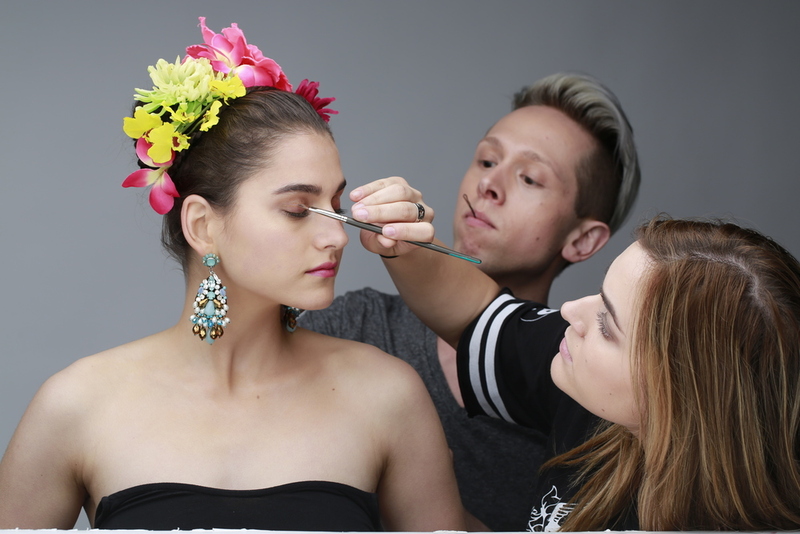 A graduate of Make-up Designory, Jake currently works as Retail Operations Manager for the prestigious NYC staple Alcone Professional Makeup Supplies, in addition to freelancing in print, commercial, TV/film, event & fashion - including New York Fashion Week. He has worked with major national brands and networks including Verizon, Dove, Disney, CBS and Nickelodeon, and his work has been featured in multiple publications including the Wall Street Journal, Collective Magazine, Lucy Magazine, Vice and Vogue Italia. Jake strives to consistently provide his clients with the most professional services, polished results and a distinctly personalized experience.